Today I'm gonna show you a cute little project I finished some weeks ago. 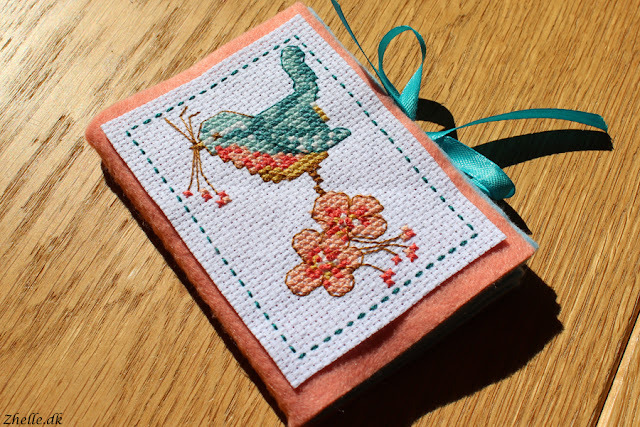 It is a little needle book kit I got from CrossStitcher magazine issue 304 and I think it is very pretty! It was quite quick to make, but the stitch time they put in the magazines is nowhere close. I think I am quite a slow stitcher! 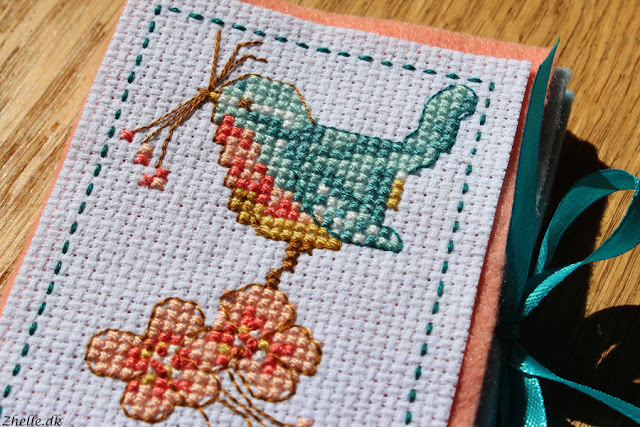 It was a very lovely stitch, and the colours are adorable. There was thread enough in the kit to finish the whole book including stitching the felt "pages" to the cover and also stitch the cross stitch and the ribbon to it. 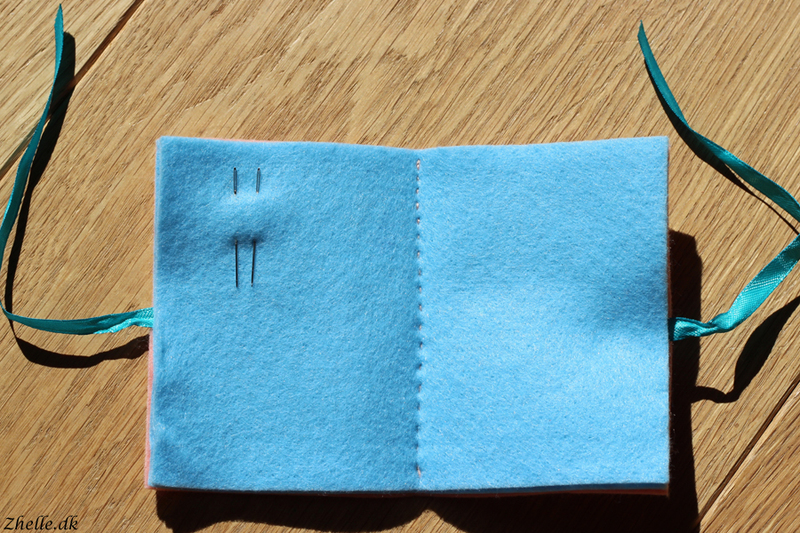 When Shaun and I have moved into a flat where I can get all my stash out again, the needle book will be filled with stitching needles!